In Japan, there are many festival which demonstrate the parade with whole people wearing traditional Yoroi, the Samurai armers. 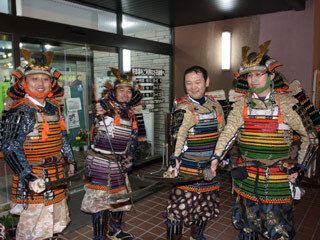 Those festivals are also the story telling from the real event of related with Samurai hero of each town. See real Samurai parade in those festivals. If you want to join and wear the armors, call 0284-41-2627.